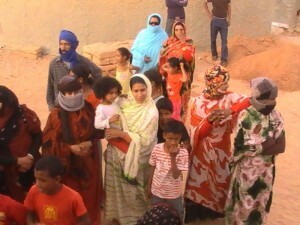 UN-Sahara: Why Tindouf refugees have never been identified? Refugees in the Tindouf camps who have been living on Algerian territory for forty years are still waiting for a census. Algerian authorities have repeatedly refused such a census despite the numerous requests made by specialized UN agencies. The Algerian authorities’ refusal is explained by their fear to see their scheme unveiled since the Tindouf camps host not only Sahrawis from southern Morocco, but also Algerian, Malian and Mauritanian Tuaregs and Bedouins from other neighboring countries. “We find ourselves faced with an anachronistic situation,” he said at a press conference Tuesday in New York. In line with international law and practice, a given population is first identified and registered before it can claim a solution to its problem and this is not the case for the Polisario, he said. In its resolution 2152, the Security Council renewed its call for the identification and registration of the Tindouf camps refugees and invited the concerned parties (Algeria and Polisario) to make efforts in this regard. The resolution, unanimously adopted by the fifteen members of the Security Council, is deemed by diplomatic circles and the media, as a “new diplomatic victory” for Morocco and a new frustration and a new blow to the Polisario and the rulers of Algiers. The Security Council, while welcoming once again the “special efforts” and the progress made by Morocco in matters of Human Rights, deplored the fact that Algeria and the Polisario are so slow to honor their commitments as defined by UN resolutions. This said, the diplomatic war between the two enemy-brothers, Morocco and Algeria, does not seem to be nearing its end.